Why be shy? 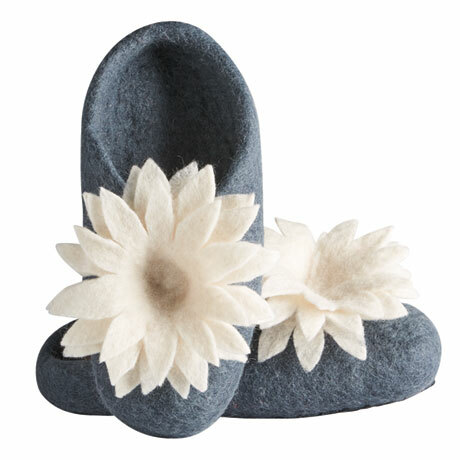 Put your best foot forward in slippers topped with big, bold blooms. Off-white flowers pair perfectly with charcoal gray in cozy, comfy slippers. 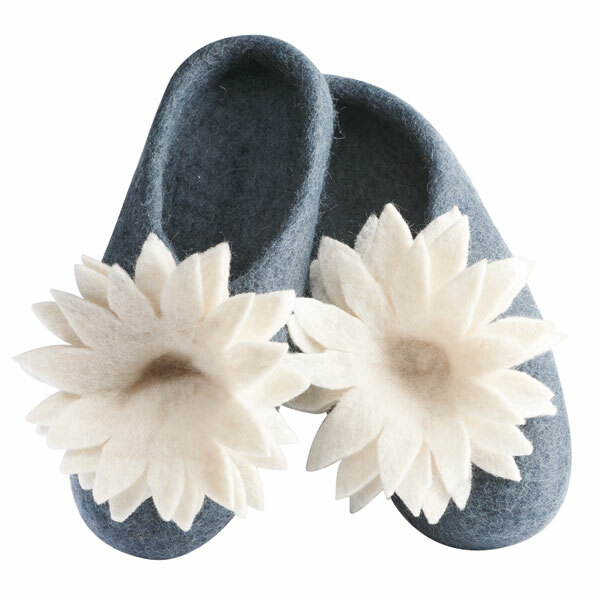 Boiled wool with hand-stitched leather soles. Handmade in Nepal. Sizes S(6-7), M(8-9), L(10-11).